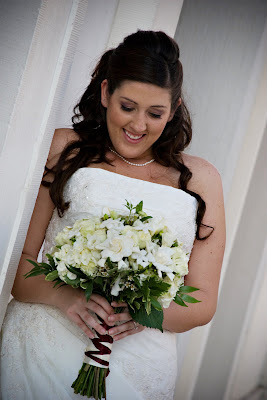 This traditional and classic white and ivory wedding was for Kimberly and Steven. Here are some amazing shots by Lace. 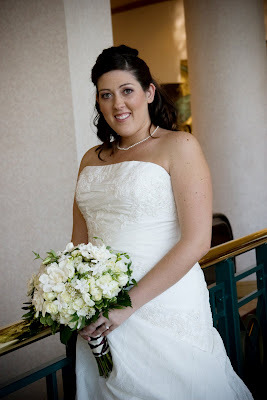 Kim’s bouquet was an all white and ivory mix that included hydrangea, spray roses, freesia, lisianthus, gardenias, waxflower, and pearled stephanotis. She picked a burgundy criss-cross ribbon to incorporate her accent color. 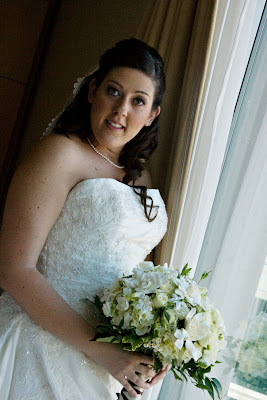 The bride loved texture so we used a several kinds of greenery to give the whole bouquet more detail and interest. 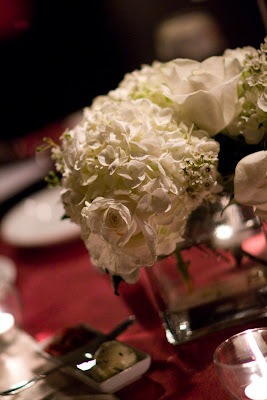 The centerpieces at the reception were white hydrangea, ivory roses, and ivory waxflower in cube vases. 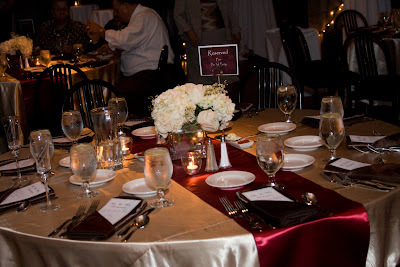 The burgundy table runners added a little extra color pop in the room. 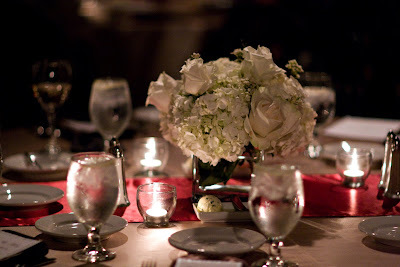 Special thanks to Christy Ricker of All Dressed in White for helping coordinate such a pretty event!! 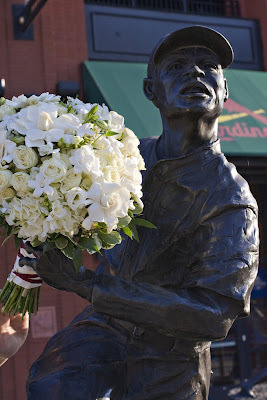 As always, best wishes to the bride and groom!